Blue skies, huge mountains and bikes. Three things I love, and three things that Switzerland has in bags. 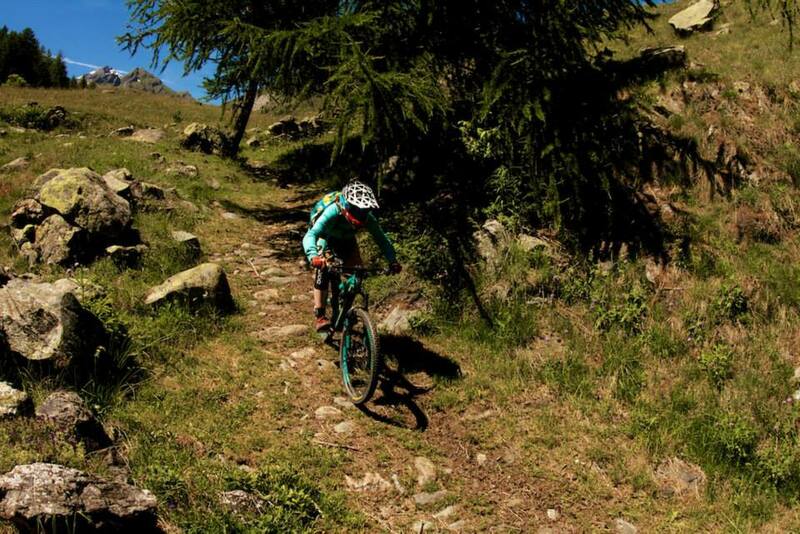 Switzerland is a pretty great location to test out some mountain bikes, and it’s not surprising that Scott Bicycles choose it as the location for it’s Scott Contessa mountain bike press camp. That, and the fact that European HQ of the brand is in Switzerland. I have a few pieces in MBUK for September, on either end of the seriousness spectrum. If you were to base your view of Ireland based on the tourist board adverts you see, you’d come to the conclusion that it was a country filled with calm fish-filled streams, laughing redheads, old fellows with flat caps and wrinkled faces drinking Guinness, and stone-walled pubs with colourful front doors and names painted in fancy script. One part of my job that I absolutely love, and that I know I’m lucky I get to experience, is the chance to attend amazing events. This summer, I was invited to attend La Course in Paris with bicycle company Specialized along with a group of other female journalists. La Course is a significant event in the world of women’s road cycling. The one day event, which takes place on the iconic Champs Elysées on the same day as the finale stage of the Tour de France, came about by the dedicated campaigning of a group of female cyclists. It seems at the moment that no sooner do I get back on track with things than something comes along to derail my good intentions. I’d just got on top of the whole food prep and planning thing, making packed lunches, planning lots of weekend riding, and a few commutes to work when BAM! I come down with a lurgy, my second in two weeks. Well, hello there blog. It’s been a while, and a roller coaster of a year. There’ve been a lot of highs; the Soapbox Science events I was involved in went exceedingly well, I was recruited by Immediate Media to develop BikeRadar Women, one of my best friends got married, I’ve had a few little pieces published in MBUK magazine, I attended the Juliana product launch in Downieville, California – one of the most amazing trips I’ve ever been on…yeah, pretty good. The sun is shining, the hawthorn is in blossom, green leaves are budding in trees left right and centre and the woodland floor is carpeted with wild garlic flowers, wood anemone and bluebells. Spring is most definitely here. And the reason I notice it is because I am out in it, regularly and often, on my bike. I don’t have a picture of a course – sorry! It’s probably because I was busy being on them 😉 Here’s a picture of riding in La Thuile instead. I’ve had a lot of coaching sessions over the years as I’ve learned to ride. I’m not someone for whom mountain biking came particularly naturally. I’m cautious, nervous about injuring myself, and find it hard to push myself too far out of my comfort zone. 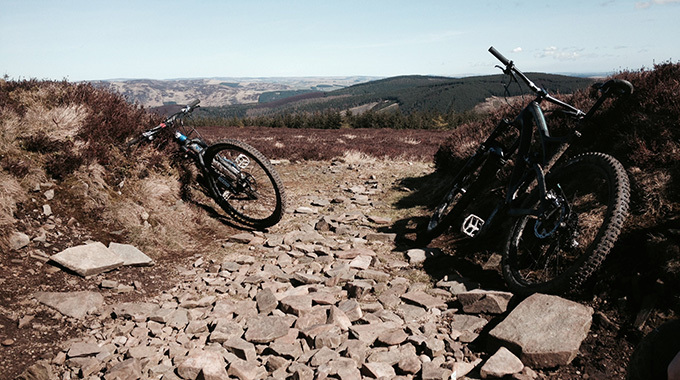 The view from the top of the XC loop at Innerleithen. There’s a whole lotta climbing but the view and the descent are totally worth it! Easter weekend. 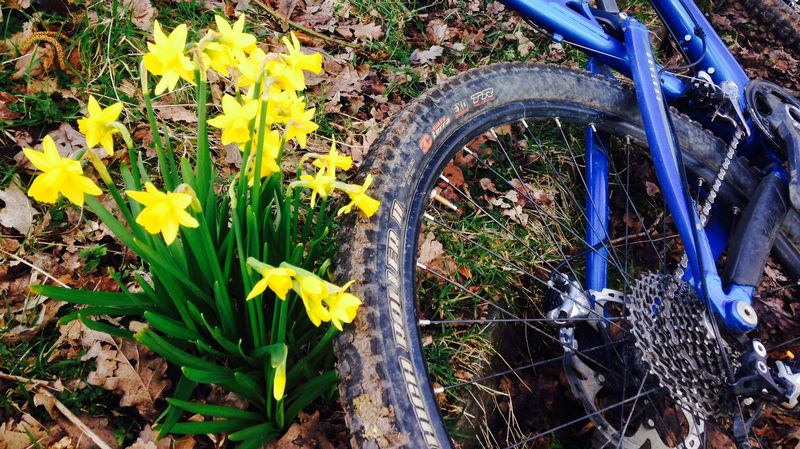 Four blissful days off, and the perfect time to head off for a mountain biking adventure. And of course eat a whole lot of chocolate! Bank holiday weekends are also always a gamble; it’s probably going to rain in the UK at some point over the weekend everywhere, so can you get a lucky break and find a part of the UK with less rain than the rest? Some careful consideration of the long range weather forecast later, and we decided to head to Peebles.